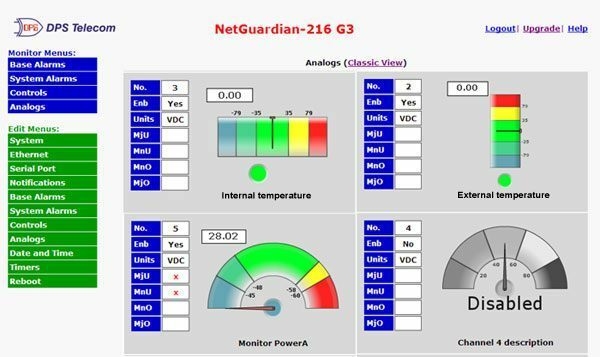 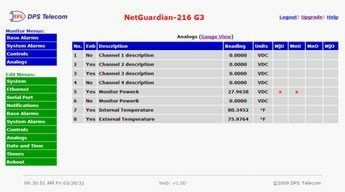 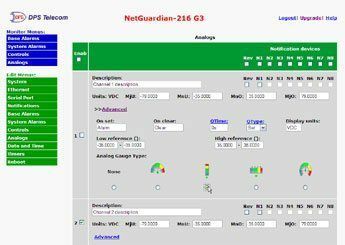 The just released NetGuardian 216 SMS includes an overhauled web interface that boasts several time-saving new tools, including new analog gauges. 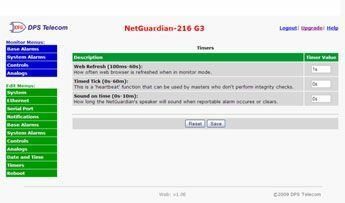 You'll also notice the impressive speed boost. 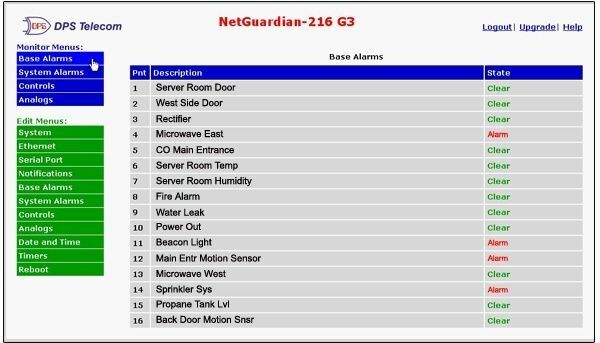 Menus load very quickly, and alarm statuses update automatically without requiring a page refresh. 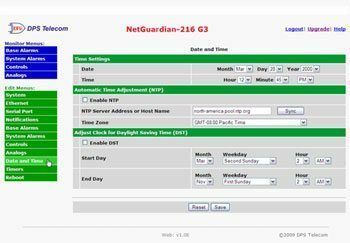 Look below for screens of the new setup wizards that make it easy to configure email, pager, and SNMP notification schedules.